“Meanwhile, all Turkic people from Caucasus to Central Asia and beyond celebrate Nowruz and the coming of the Spring – a wonderful tradition going back several millenniums. Novruz (Nevruz) generally falls around March 21, corresponding to the vernal equinox, when the day and night are of equal length. 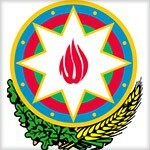 Novruz is an official holiday in Azerbaijan, Kazakhstan, Kyrgyzstan, Uzbekistan and Turkmenistan. Other Turkic peoples such as Uyghurs, Yakuts, Karakalpaks, Volga or Kazan Tatars, Bashkirs and Crimean Tatars also participate in spring celebrations. However, in subsequent years Azerbaijan, Turkey and other Turkic nations were left out, this ancient holiday was targeted only at Iran and the Persian-American community.